I liked it enough to keep going. "Days of Future Past" and the idea of a dystopian anti-mutant future loomed heavily over the 90s X-Men books that were red meat for me in middle school and high school, so it makes sense that they'd be used as a frame for the new series. I really enjoyed how seamlessly they blended it with post-9/11 authoritarianism. There are two mutants I love seeing in this show: Polaris and Blink. We obviously didn't get enough of Polaris but Blink's power is terrific and it's fun to see her done justice. If the teens wind up being telekinetic, it's no foul for me – I'm a sucker for seeing TK done in special effects. I'd be interested if there is another wrinkle to Andy's power, though. And it's great to see Amy Acker in a show; I hope they find something for her to do. A did you catch it thing: the 1990s X-Men TV show theme is Marcos's ringtone. I really enjoyed how seamlessly they blended it with post-9/11 authoritarianism. Yes! I am excited to see what they do with this show. I mean, I knew I was going to watch it, because I love Amy Acker and the X-Men, but this show has a lot of promise. Same here. 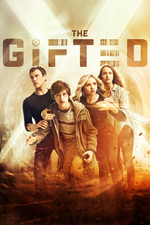 It's no 'Legion', but the casting is good, the effects are good, and it doesn't seem to suffer from the 'genre show written by non-genre people syndrome'. I thought it was... okay. From what I'm reading, it seems that people are impressed with the teenage actors. They were barely tolerable for me. Though I think that will improve once they stop having the boy screaming every time he uses his powers. (That was seriously awful. Like Tara Reid screaming awful.) It was enjoyable to see a somewhat realistic and supportive sibling relationship. The whole prosecutor-against-mutants-has-mutant-children thing is well-worn territory and rather wearisome at this point. They were overt and heavy-handed with the mutant powers as a metaphor for homosexuality here. Has that always been an underlying theme with comics/X-Men, or is it something relatively new? Some of the powers were unique and interesting, and the effects weren't too terrible. I'll probably stick out a few more episodes, though I'm just about maxed out on superhero shows (and lagging behind on about 37 Marvel movies). This episode was directed by Bryan Singer. "They were overt and heavy-handed with the mutant powers as a metaphor for homosexuality here. Has that always been an underlying theme with comics/X-Men, or is it something relatively new?" Peter David's retooling of X-Factor in 1991 (which included Polaris as a team member) had some pretty thinly-veiled coverage of this topic. The first gay Marvel comic character was Northstar and it wasn't until 1992 that the management board gave the writing staff permission to explicitly write him as such. The mid-1990s was when I shifted away from comics (or at least from superhero comics) so I'm sure at some point everything became more explicit. It's my impression - and I'm happy to have someone more knowledgeable come along and contradict me - that the mutant thing has always been about what it's like to be the outsider, starting as a parallel for anguished teenagers and the horrors of puberty and moving on to statements about race and sexuality and whatnot. Sexuality is a great one to hang the mutant thing on, though, since it's established that it's something that typically manifests around the onset puberty. Speaking of which, the show may have intended it as a metaphor for homosexuality but they were also pretty explicit when the teenaged boy said something about "muties" and his sister said, "Racist much?" so I think they're going for pretty broad coverage here. It is - but the writers did the more interesting thing with it, having the father side with the children and against the system he's served, and taking the fall at the end. It was whack-you-in-the-head obvious in X2, where Iceman has a "coming out" scene. The comics traditionally used mutants as an inexact analogy for racism, which was there in the "Racist much?" comment at the dinner table. I guess I' getting super-hero fatigue. I thought it was alright, but really nothing new. The vfx were fine. I really like Coby Bell, but so far it doesn't look like he'll have much room to exercise his considerable charm. It was okay. This is a definite maybe. We'll see as it goes on. I guess I' getting super-hero fatigue. Well there IS that series about the brilliant yet troubled doctor. And there's NCIS, and I think a serious drama about criminals, and that sitcom about quirky 20-somethings. And hang on a bit, and there'll be a series about a brilliant if offbeat detective and his hot policewoman partner. You know, we can get back to original programming. This was fun! I went in with no expectations although I do love Amy Acker. Then I saw it was directed by Bryan Singer and got a little bit excited. It reminds me of season 1 of Heroes, which was great, so I hope it continues in that vein. You know, we can get back to original programming. Um, none of the examples you gave make this series seem any more original. First of all, what the hell does "original" even mean in the context of television? Nothing- I can point to any show on the air and say "Nope, not original", without actually saying anything about the show at all..
Secondly, there's there's weird thing that only happens with superhero shows, where someone always comes in and airily proclaims "I am over superhero shows." Well you know what? I am so over crime shows, and I have been since the first episode of Sopranos. I have been over police procedurals since the first season of the first CSI; I have been SO over sitcoms since I first saw an episode of Friends and said "This isn't funny. At all." But you don't see me or anybody else going into a review of "the Mayor" going "Oh, I am SO over sitcoms." I liked this, because I always want to see comic-book adaptation done well. And this was pretty great. The overt messaging was even a good thing, to me, because why be subtle? There's a point to be made, let's just say it out loud. So what if they're using mutants to stand in for real life minorities? Isn't the message here that you shouldn't discriminate against minorities in general? And because it's in a world with mutants, it's pretty plausible that there's a negative attitude against them by the status quo. Genre-shows like this always fall back on the characters and their motivations to be good, because the plot can either be too narrowly-told, or too fantastical, and requires a huge suspension of disbelief. But we know what it's like to feel a certain way in a certain situation. That's always relatable. The family drama here is definitely gripping, and having a family split like that always make for a good plot starting point, even if you've seen it a thousand times. We're all saturated with these stories already, but what we can always look forward to is how it moves and unfold from here. The live-action X-Men adaptations have always been a roller-coaster of quality. After Logan and Legion, I have hope for this one. It was whack-you-in-the-head obvious in X2, where Iceman has a "coming out" scene. Terribad as that movie was, "Have you tried not being a mutant?" from that scene is a terrigreat line. So, we're still doing the female East Asian character with streaks in her hair thing, I guess? I'm tired of this much peril at this point (in my life? in the world today? ), which is too bad because this seems entertaining.